Drink in the beauty of these orchids slowly. They’re that intoxicating. 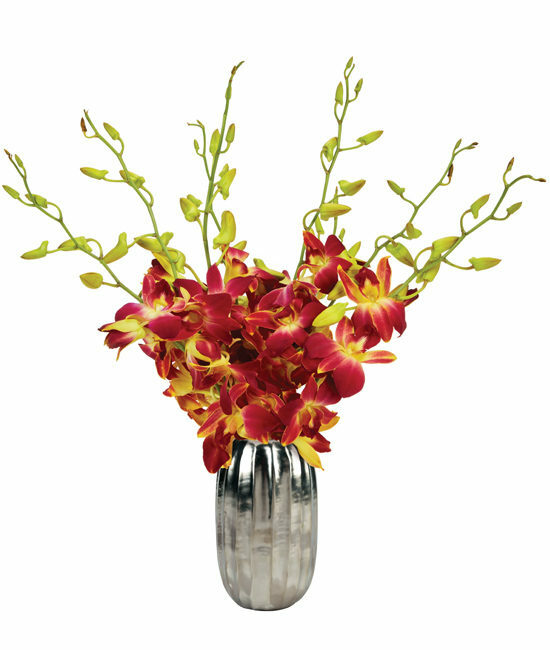 An elegant way to make your Valentine weak in the knees, the octet of Bombay dendrobiums is enhanced with yellow dye to be even more dazzling as they fan out in the silver ridged vase. 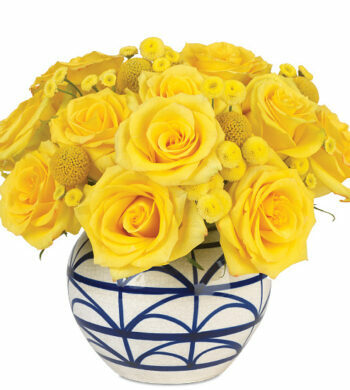 Trim 1/2″ from the bottom of each spray, making a diagonal cut to the recommended display height of your vase. 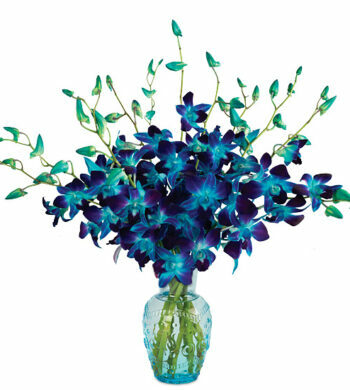 Do not allow any orchid blooms to be underwater. 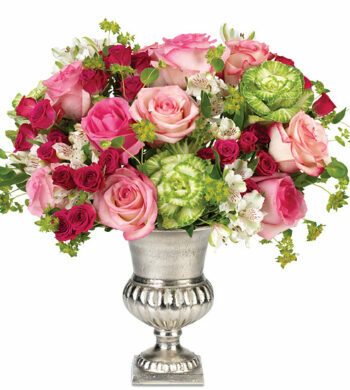 If you must, simply remove the blossom from the stem (you may float your cut blooms in water). 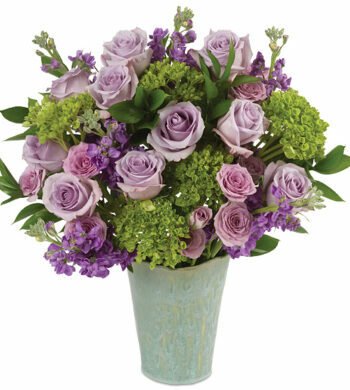 Display bouquet in cool conditions and avoid heat sources and drafts. 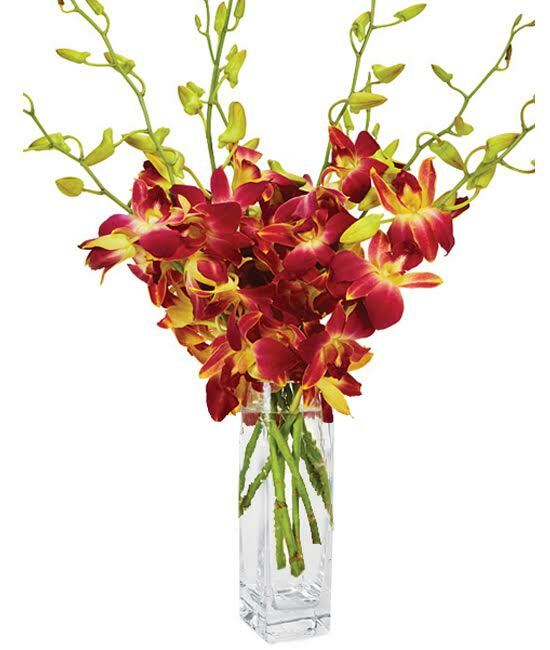 Add fresh water daily and mist your orchids. Change water, clean container and recut stems every other day.